South Orange homeowner Francisco Molina thought his house troubles were over a few months ago. The survivor of two heart attacks lost much of his wages and almost lost his house, but he was able to renegotiate his mortgage only days before the four-bedroom home was to be sold at a government auction. That's when things tumbled downhill: The Orange County court system mistakenly sold the house in July, even though a judge had canceled Molina's foreclosure. The courts tried to right the wrong by overturning the sale. But the buyer — investment giant Blackstone Group — said it never got word. So for months, Blackstone's Invitation Homes subsidiary tried to get Molina out of his home. "It is just too much for me," Molina, a service manager for Avis Rent A Car in Orlando, said earlier this week. "My family asks me all the time what's the matter. I tell them I have proof I own my house, but no one listens." The Orange County Clerk of Courts admits it made a mistake, and Blackstone's foreclosure operation, Invitation Homes, this week apologized to Molina for trying to evict him. Fancisco Molina and his wife Claudia at their home in south Orlando looking over documents in their foreclosure fight. 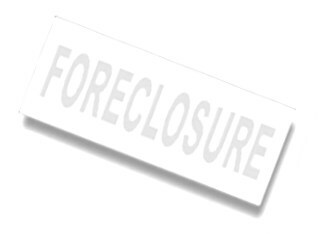 homeowners complained that the courts were so inundated with the actions that they assigned foreclosures to "rocket dockets" that got little attention. What happened to Molina was unusual, Orange County Clerk of Courts spokeswoman Leesa Bainbridge said. "Unfortunately, we're not sure how that happens," she said. "We're always looking for ways to improve our processes." Invitation Home never got word that the sale was reversed, Vice President Andrew Gallina said. He blamed the courts for failing to communicate. "It is unfortunate that there was miscommunication from the Orange County courts," he said. However, the court did alert the Blackstone investment group that it no longer owned Molina's house. On July 30, the group requested the courts to return the money it paid for the house, records show. Gallina also said Molina should have responded when Invitation Homes hand-delivered notices to his house July 17, Sept. 17 and Oct. 1. The letters offered Molina as much as $3,000 if he would leave peacefully. They also asked him to provide personal financial information in case he wanted to stay there and rent from Invitation Homes. "I've spoken with the folks in the Orlando office, and no one had the resident's name," Gallina said. "They have no record of him calling." Holding one of Invitation Homes' eviction letters in his hand last week, Gallina pointed to the name listed on the contact information. He said he called and explained to an Invitation Homes employee that he still owned the house, but the woman insisted he didn't. "I talked to Judy and let her know the house was not sold, and she told me no, that we got the house by possession," Molina said. "She said: 'I don't care because we are the owner of the house, and that's it.'" At least some of the information in the letters that Invitation Homes delivered to Molina's home was erroneous. One of the notices, which were left in letter-sized manila envelopes on his door, informed him that an eviction had been filed against him with the court system. Gallina confirmed Monday that no eviction notice had ever been filed with the court, despite what his company's letter stated. On Monday, Gallina said an inquiry Friday from the Orlando Sentinel was Invitation Homes' first indication that it did not own the house. After investigating the issue, Gallina said the company would no longer seek possession of the home on Tiptree Circle. It issued Molina an apology. The homeowner said he was relieved to hear about Invitation Homes' plans to back off. But, he added, it's hard to know what to expect at this point.